After interning at Partnership for Youth for three summers, Maggee is excited to join staff full time. She has witnessed the powerful impact of the Steubenville Conferences, and is honored to be part of such a great ministry. Maggee recently graduated from the University of St. Thomas with majors in Catholic Studies and English, and a minor in Education. 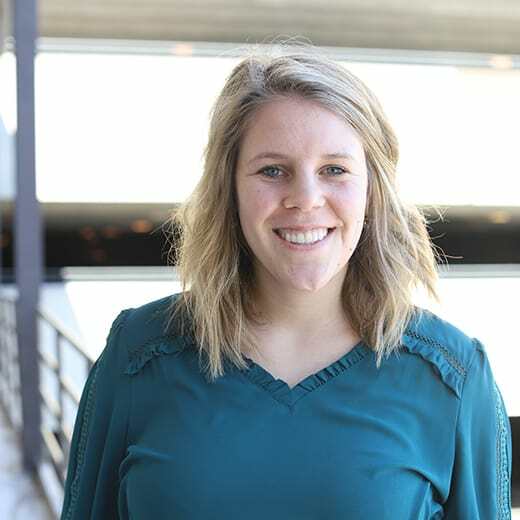 Having the opportunity to grow and mature in her faith during college was a huge blessing for Maggee and is an instrumental factor in why she is drawn to ministry. She learned a tremendous amount about the Catholic Intellectual Tradition through her Catholic Studies courses, as well as how to live a life of mission and discipleship through her involvement with St. Paul’s Outreach. She has a great zeal for her faith and a passion for showing young people that they are known and loved by God. Aside from sharing her faith, Maggee loves spending time with her family who lives in her hometown of New Prague. She also enjoys going on runs, curling up with a good book, and beating everyone at a good game of cards.